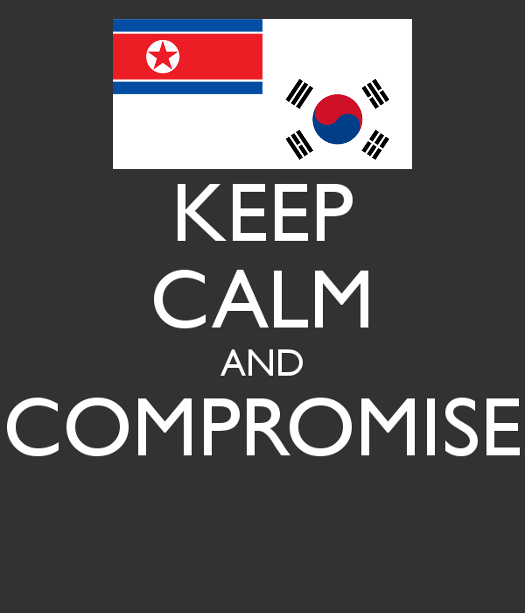 The British Gazette » Korea: Keep calm and compromise! At the bottom of this article are four hyper-text links to articles appearing in the South China Morning Post. It is VERY important to discover what other people are thinking about an issue. What is CLEAR is that China does not want to see North Korea collapse as it fears chaos on it’s borders. It does NOT want to deal with hundreds of thousands of Korean refugees. What is also CLEAR is that China does not want to see a collapsed North Korea taken over by South Korea and, inter-alia, US influence in a “Western State” (if such a term can be applied to the Korean peninsular) with a land border with China. Neither does Russia with whom North Korea also shares a border. This is because Vladivostok has been viewed as a strategic asset by Russian since the 19th Century and they do NOT want the US Navy anywhere near it! What is clear is that the USA does not want and will NOT tolerate a situation where North Korea has developed and deployed an effective long range ICBM which is capable of striking the continental USA lying south east of Alaska with a thermonuclear warhead. 1. Mr Kim and his despotic regime have repeatedly demonstrated that they will NOT abide by any agreements they will put their name to. 2. North Korea has very little by way of export industries but WOULD have were it able to manufacture – entirely from indigenous resources – an ICBM with thermonuclear warhead AND targeting and guidance infrastructure. 3. IF or WHEN Mr Kim acquires #2 above, he or the despot who replaces him WILL seek to export same for hard currency to support the DPRK economy and of course to richly line his/their own pockets. 4. Such exports will be UNACCEPTABLE to the USA and Israel. Therefore the ONLY way that the Korean crisis can be solved peacefully is for China, Russia and the USA to meet and to AGREE a compromise solution. 1. That “Regime Change” MUST take place in North Korea. 2. That a democratic re-unified Korea MUST emerge. 3. That Mr Kim and his murderous associates together with the whole Workers Part clique MUST be granted IMMUNITY from arrest and prosecution for their atrocious acts and that this MUST include the International Criminal Court in the Hague and that they be allowed to settle in China and will be allowed to retain their enormous wealth. 4. That the re-unified Korean republic MUST be a non-nuclear non-aligned state which has NO mutual defence or military co-operation treaties with the USA. 5. That ALL US forces must withdraw from the Korean peninsular. 6. That Chinese capital MUST be allowed FULL ACCESS to participate in the rebuilding of the infrastructure of the impoverished North. 7. That the re-unified Korean republic will still maintain the “Open Door” policy to trade with the USA. It would be advisable that the tripartite talks take place a a neutral location. We suggest Geneva and for the talks to be hosted by the UN Secretary General, António Guterres. We also suggest that a good face saving solution would include retention of North Korea’s formal title, the Democratic Peoples Republic of Korea and for the merging of the two countries flags to be the new flag as in the image and that Pyongyang should be the capital of the reunified state. British Gazette comment: Many British Gazette readers in the USA, South Korea and Hong Kong (mainland Chinese have problems accessing this organ) will feel that the compromise outlined is unacceptable. It is however preferable to the catastrophic alternative!